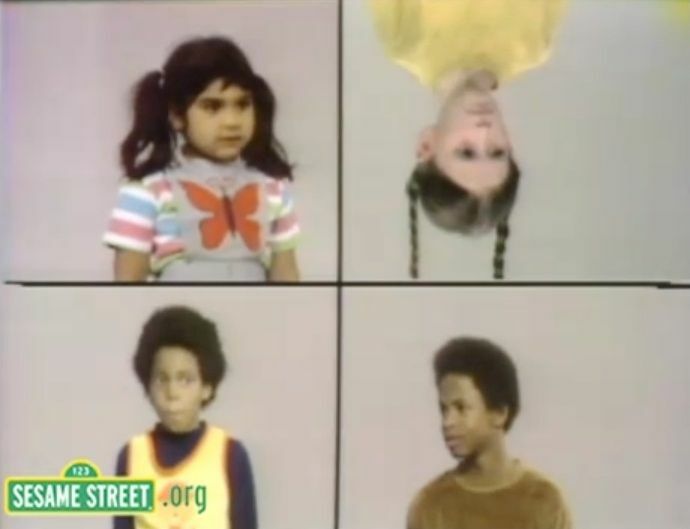 As mentioned in a prior blog, Sesame Street children are familiar with a toe-tapping ditty that helps them learn how to observe what makes things similar and dissimilar. 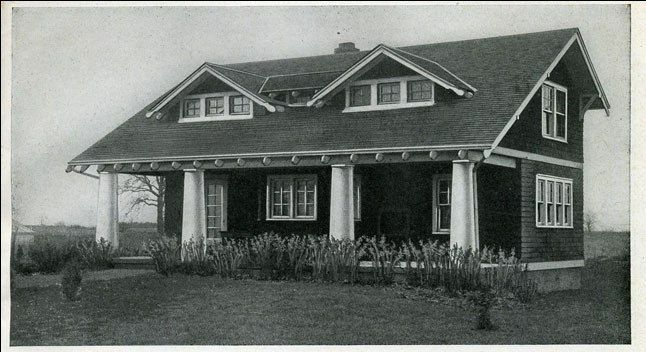 Those same life lessons are of inestimable value in identifying and authenticating Sears Homes. 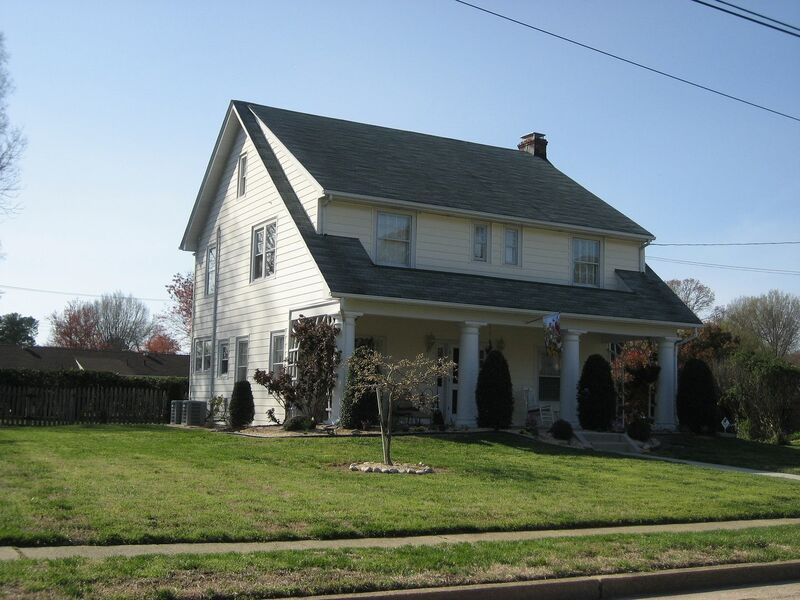 In Hopewell, Virginia, they have eight beautiful Sears Homes in Crescent Hills. Unfortunately, in Hopewell, Virginia, they’re claiming to have a lot more than eight Sears Homes in Crescent Hills. Hey boys and girls, can you figure out which of these is different from the others? This example (with houses) is even easier than the example above! Now there are folks in Hopewell claiming that all three of those houses (with the dormers, and the two windows flanking the front door and the symmetrical front gable and the three windows in the living room) are Sears Rochelles. Will the real Sears Rochelle please stand up? The Rochelle shown above (in Lombard) is the only Rochelle I’ve ever seen. This Rochelle was photographed by Dr. Rebecca Hunter (Elgin, IL). You can visit her website here. So, what is it they have in Hopewell? I’ve no clue, but I do know, it is NOT a Sears Rochelle! Sears Rochelle as seen in the 1930 catalog. 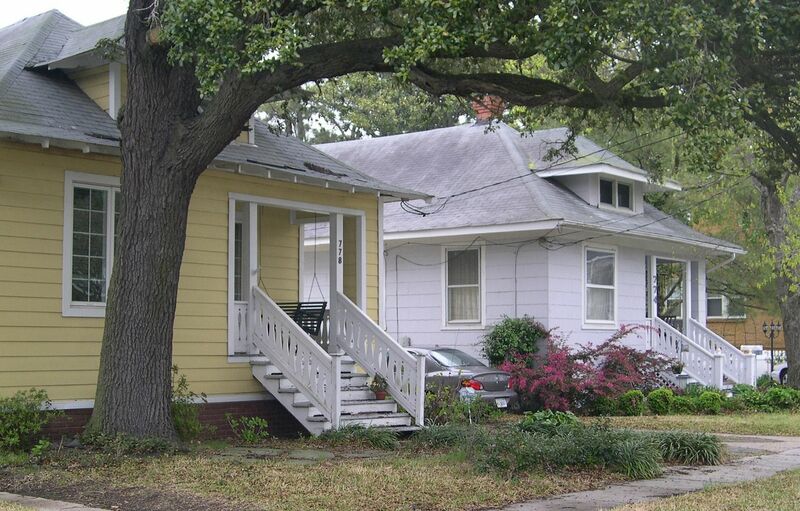 You may notice, the house above (catalog image) bears no resemblance to the Hopewell houses. To read more about the many differences between these Hopewell homes and the real deal, click here. To learn more about Dr. Hunter, click here. 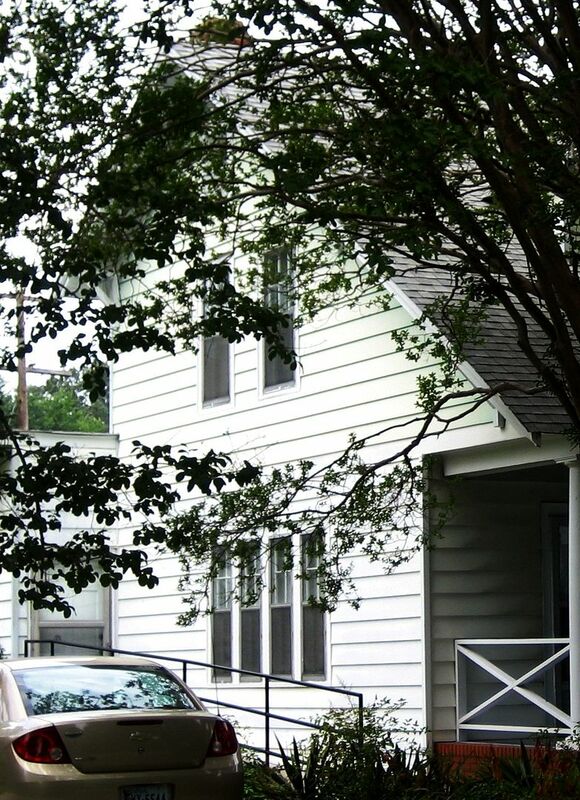 To learn more about Hopewell, click here or here. Interested in Aladdin kit homes? Hopewell has several. Click here to read about them. 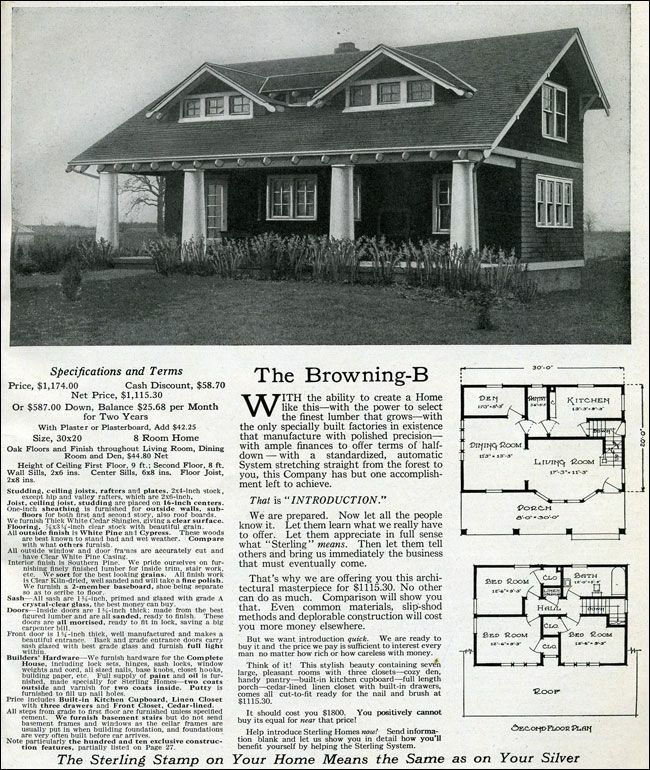 Sterling was one of the six national companies selling kit homes through a mail-order catalog. 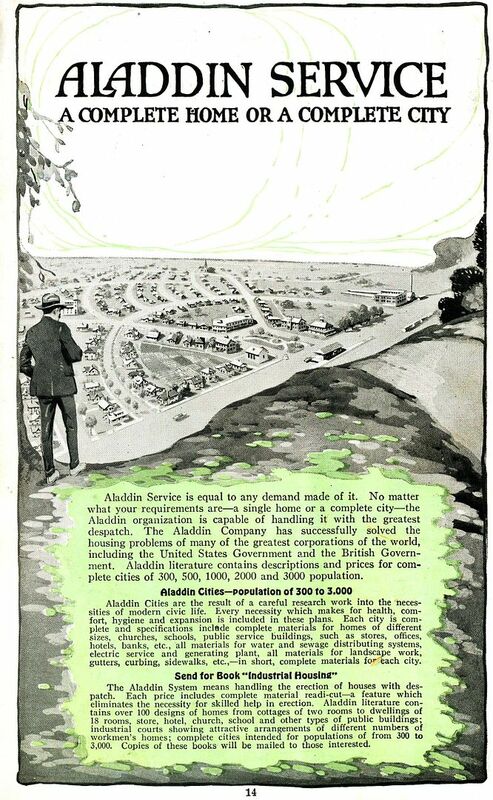 Like Aladdin, Sterling Homes was based in Bay City, Michigan. While Sterling was successful in selling their kit homes nationwide, they were a much smaller company than Aladdin or Sears. To learn more about Sterling, click here. 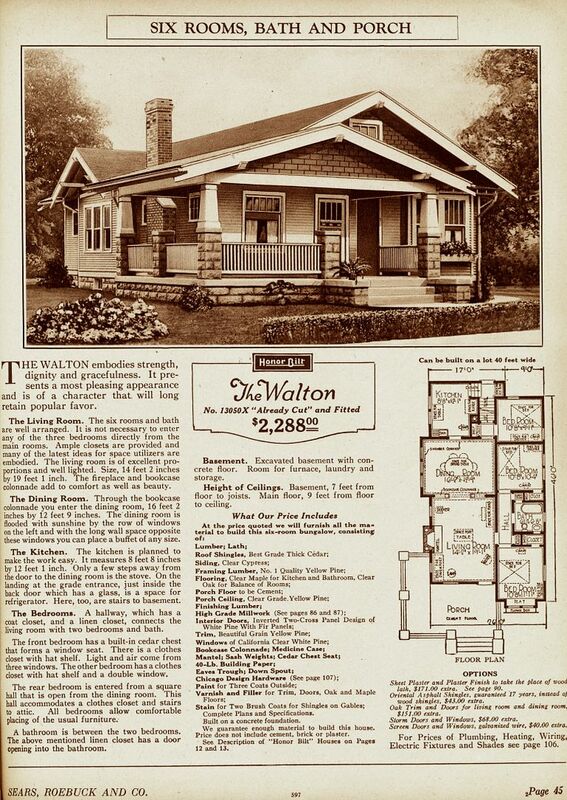 Compare the catalog page with the extant homes below. The roof on the back of the house doesn’t drop down near as far as the front. And look at the pair of gabled dormers, connected by the small shed dormer. Most interesting is the bay window on the front of the house, next to the front door. From the Sterling Homes catalog. There are several of these models in Hopewell's downtown area, interspersed with Aladdin kit homes. Is this the Sterling "Browning B"? It sure is a perfect match. 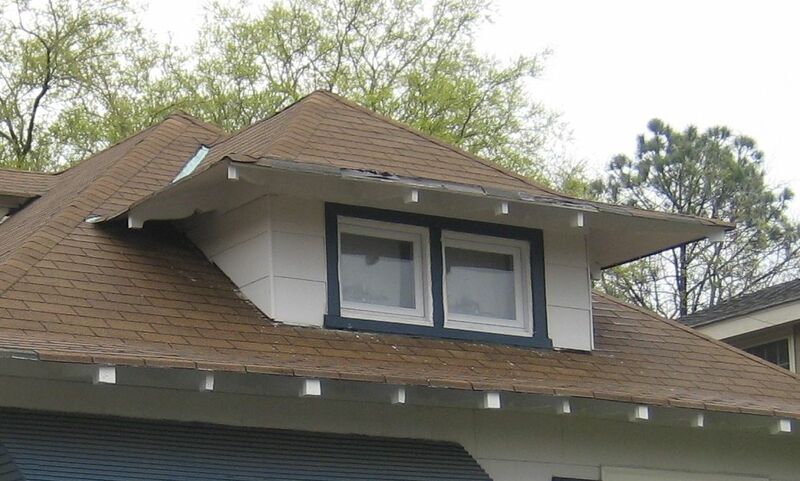 The only flaw is the size of the eaves on the dormer window. Everything else is perfect, and that's remarkable, because this is a very unique house. Another Sterling Browning-B in Hopewell? Appears to be! 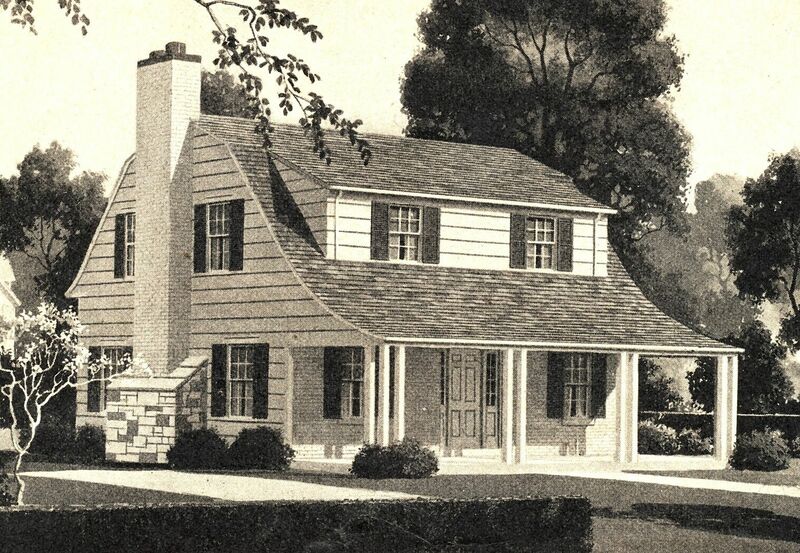 A close-up of the house as it appeared in the catalog. 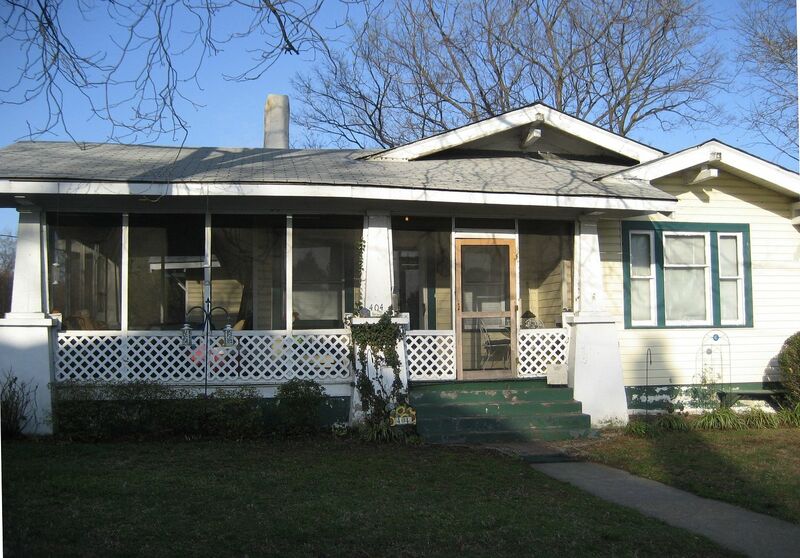 Side-by-side comparison of the two houses. Another Sterling Browning "B" in Hampton, Virginia? It certainly looks very close, and yet it appears to be a little bigger (deeper) than the other Sterling Homes (above). The rest of the details (see below) are a very, very good match. The home's left side is a perfect match to the catalog page. Floorplan shows that over sized bay window on the first floor, which is an unusual feature for a house of this size. Both the house in Hopewell and Hampton also have this. The second floor sure has a lot of doors! Very unusual arrangement around the dormer windows, too. Also a perfect match to the original catalog image. Detail around those funky dormers (catalog). Even the rafter tails are a spot-on match to the Sterling catalog. Thanks to Pat Spriggs for driving me all over Hampton! And thanks to Mark and Lisa Hardin for finding the Hopewell Brownings! Here in Norfolk, we have 16 little bungalows that were originally built at another location, and then moved here (by barge) sometime after The Great War ended in 1918. For years, that’s pretty much all that was known about them. 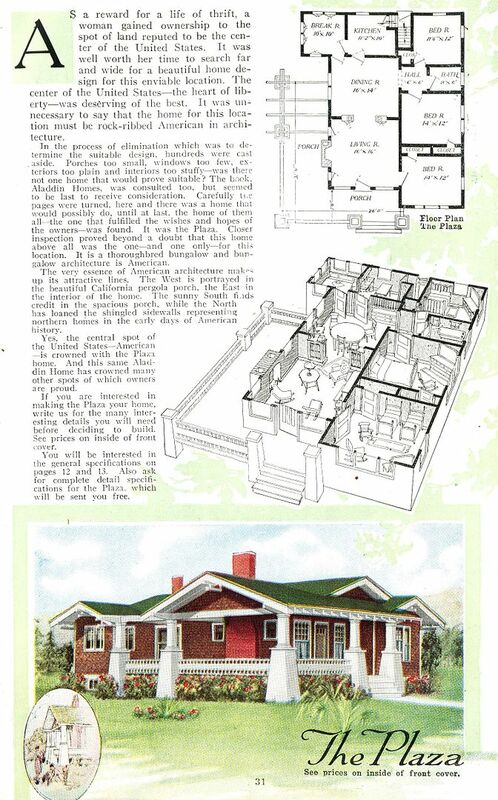 Last month, we learned that 3,000 miles away in Dupont, Washington, there are dozens of identical bungalows, built by Dupont for the dynamite factory there. Thanks to Lee and Joh from the Dupont Historical Museum in Dupont, Washington, I now have a vintage newspaper article that says the little houses were built in 1909. And now there’s a new wrinkle. So, our Ethel Bunaglow in Norfolk (which came from somewhere else) is a spot-on match to the company houses in Dupont, Washington and Butte, Montana. We know that Dupont often turned to Aladdin kit homes to provide them with houses for their workers. We know that Dupont used Aladdin to provide housing at their sites in Carney’s Point, NJ, Old Hickory, TN, and Hopewell, VA. According to local lore, Dupont also used Aladdin to provide houses for their workers at their guncotton factory in Penniman, Virginia. It’s looking more and more likely that our “Ethels” came that guncotton factory in Penniman, Virginia (now the site of Cheatem Annex, a military installation). Dupont built hundreds of houses for the workers, and purportedly, some of those houses were moved after The Great War. This fits nicely with the story of the our Ethels in Norfolk. As David says, who would be in a better position to move 16 houses from Penniman to Norfolk than a man who owned a company called, “Hudson Transportation Co. and New Home Corporation”? And who says history isn’t fun? And yet, many unanswered questions remain. To read the most recent update, click here! 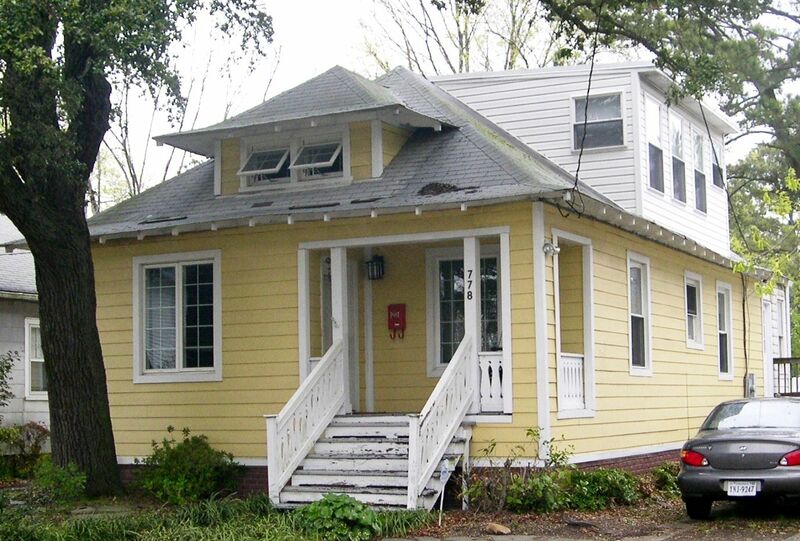 There are 16 of these little bungalows in Norfolk (see below) moved from another location. According to local lore, these houses were floated up the Lafayette River from an unknown city (where they were originally built). Fourteen of the houses were then placed on lots along Ethel. Lucerne, and Lavalette Avenue (in the Riverview section of Norfolk), and two of the bungalows landed in Highland Park (a few blocks away on 51st Street). 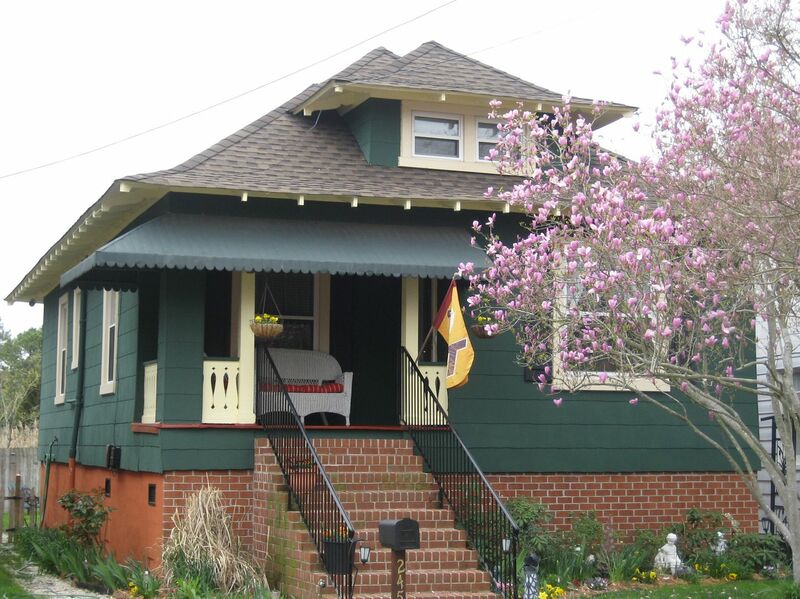 If we could find houses in other cities that match these Ethel Bungalows, that might help us figure out where they came from. So have you seen this house in your city? If so, tell me more! Originally written April 12, 2011. 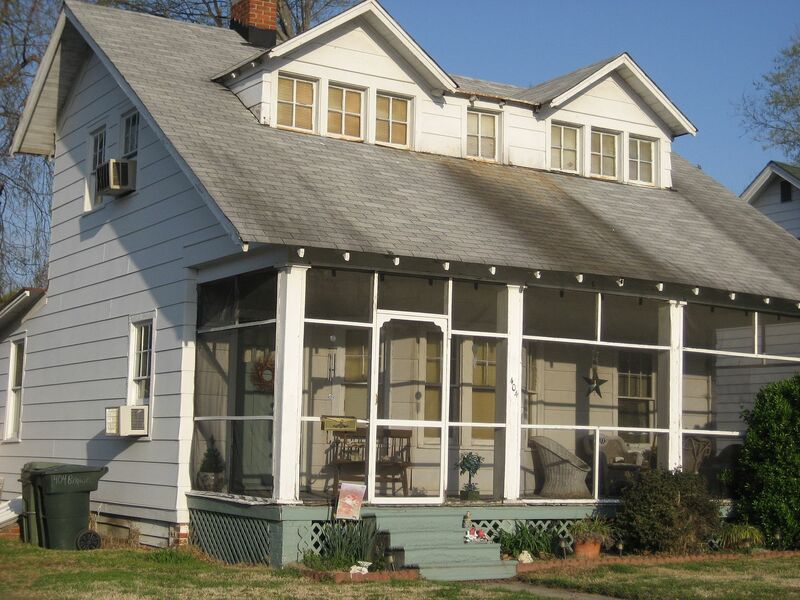 As mentioned in prior posts, Hopewell, Virginia is the proud owner of eight bona fide Sears homes in the Crescent Hills area. That’s well and good, but they also have entire neighborhoods of Aladdin kit homes in other parts of Hopewell. It’s a puzzle why the city invests so much effort in promoting those eight houses, while forgetting about the dozens of Aladdin kit homes. Why, if I were a little Aladdin home in Hopewell, I’d feel sorely neglected! Most likely, the majority of the Aladdin Kit Homes were ordered by Dupont in 1914, for their dynamite factory in Hopewell. And there along the waterfront - on Ramsey Avenue - are the Aladdin Wenonah, an Aladdin Brighton, and an Aladdin Plaza. The Plaza sits at the end of Ramsey, and I’d just love to know - do these homeowners know that they’re sitting in a piece of Americana, enjoying their restful slumbers in a historically significant kit home, that was shipped in from Bay City, Michigan via boxcar, with 12,000 pieces of house? And what about the city itself? Are they aware of these precious architectural gems that sit within its borders, uncelebrated, unheralded and unprotected? It’d be a dandy idea for the city - at the very least - to put a placard in front of these homes, identifying them as Aladdin kit homes, or perhaps include them on their tourism brochures. 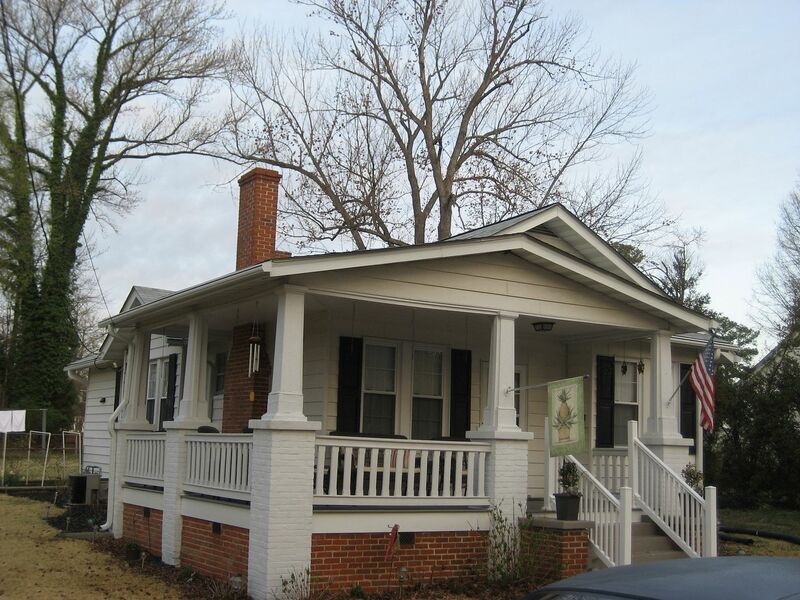 Urbana, Virginia has ONE Sears House, and look what they’ve done! A city full of architecturally significant homes is a terrible thing to waste. Click on these links to read Part I, Part II, Part III or Part IV. Click here to buy Rose’s book. 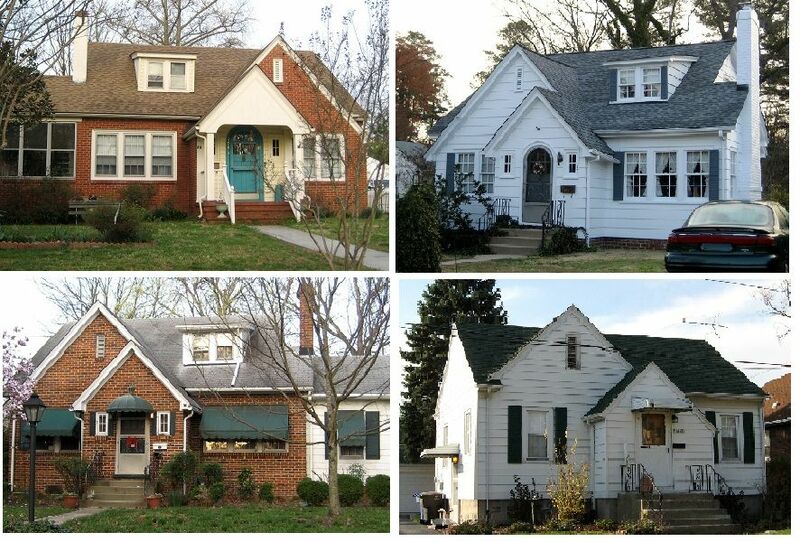 Hopewell’s Historic Sears Homes! Well, sort of. This last weekend, I visited Hopewell for the first time in several years. In early 2003, I went to Hopewell to give a talk on Sears Homes. The talk went well and I sold a bunch of books and I had a wonderful time. I was treated like a queen and I really enjoyed my stay in Hopewell. Most of all, I loved doing something good and positive to help promote Virginia - my favorite state and the place where I was born and raised. The ladies who drove me around Hopewell were a living example of grace and gentility. There was one downside to this otherwise delightful visit. Sadly, as I toured the city, I discovered that most of the “Sears Homes” in their infamous Crescent Hills neighborhood were not Sears Homes. Unfortunately, a handful of people did not agree with me, and Hopewell’s brochure - with its inaccurate information on their Sears Homes - was not to be changed. When I returned to Hopewell (March 18 2011), I was gratified to see that a few of the errors had been removed from the city’s well-promoted brochures, but many houses in Crescent Hills were still being wrongly identified as kit homes. 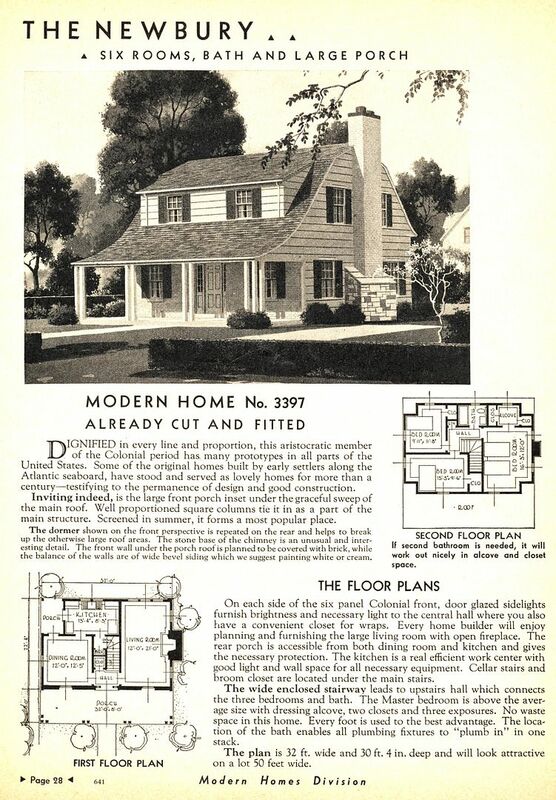 A picture is worth a lot of words, I’m going to post the Hopewell house, together with an original image from the Sears catalog and (where possible), an extant example of that kit home in real life. Let the reader judge for themselves. The city's brochure claims that this house (106 Crescent) is a Sears Newbury. It's a massive house and note the inset on the huge shed dormer on the second floor. There's a flat space in front of that shed dormer. Plus, note how the rear roof is higher than the front roof. This house has two small closet windows on the front (second floor). The porch roof is on the same plane as the primary roof, and is flat and comes straight down - with no break. Also notice that this house has a spacious attic, due to the large footprint of the house, and steep pitch of the roof. This is a catalog picture of the Sears Newbury. 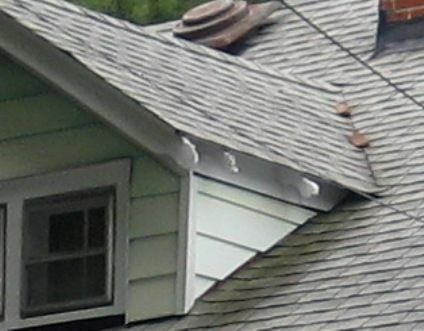 Notice, this house has a bellcast roof. 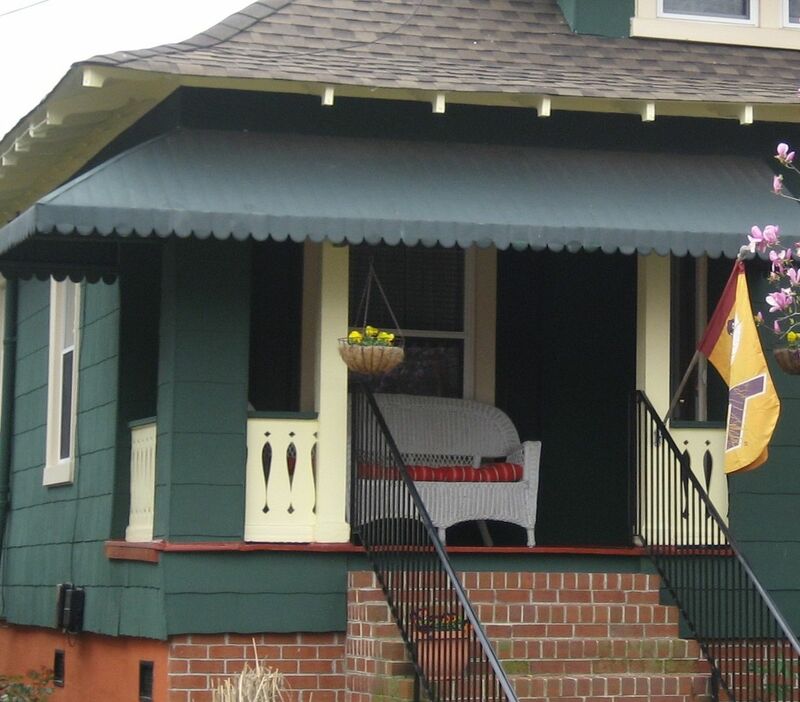 In other words, the porch roof has a "swoop" (like the cast of a bell). It does not come down in a straight plane, but takes a little curve upward. It does not have an attic and the roof is not very steep. 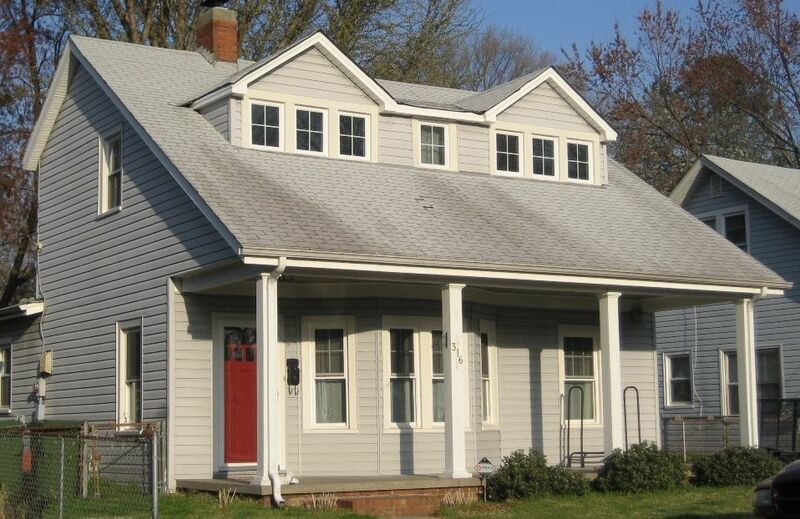 It has a gambrel roof (like a barn roof). 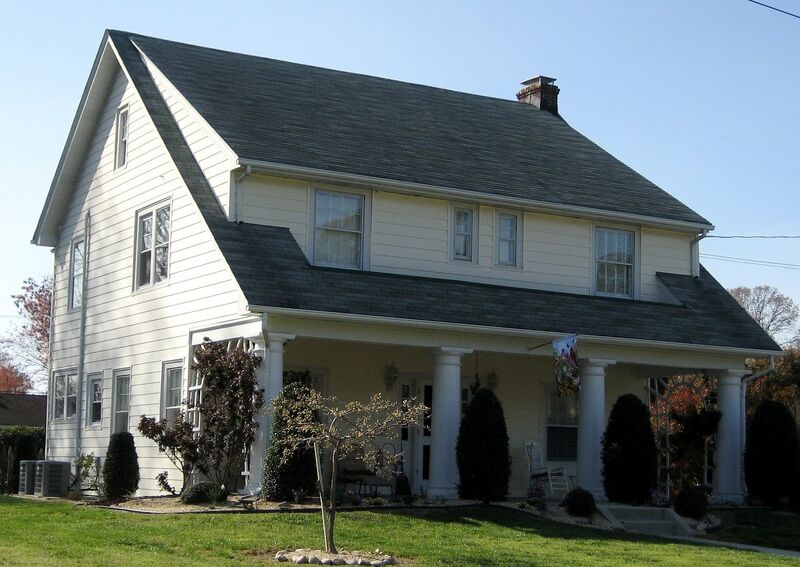 It's also a much smaller house than the house in Hopewell (pictured above). There's no inset in front of those second floor windows. Here's a Sears Newbury in Elmhurst, Illinois. You'll notice that it looks a lot like the house in the catalog picture. The house in Hopewell (pictured above) is a much larger house. And the rooflines are dramatically different. 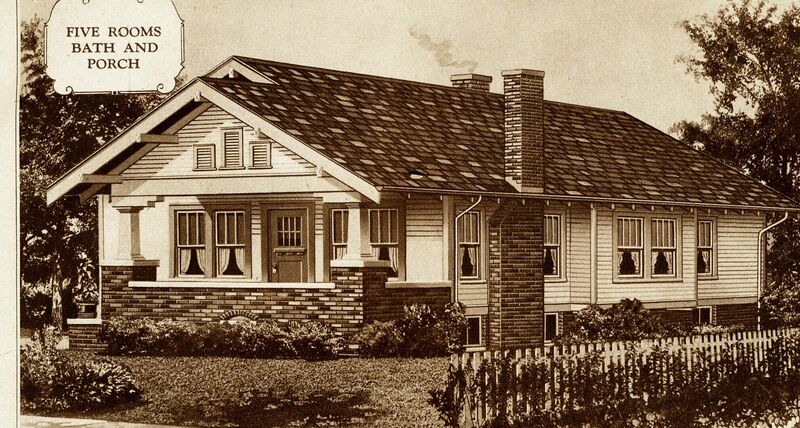 Sears Homes, one must remember, were patterned after the popular housing styles of the day. They were - by their very design - intended to look like the average house. 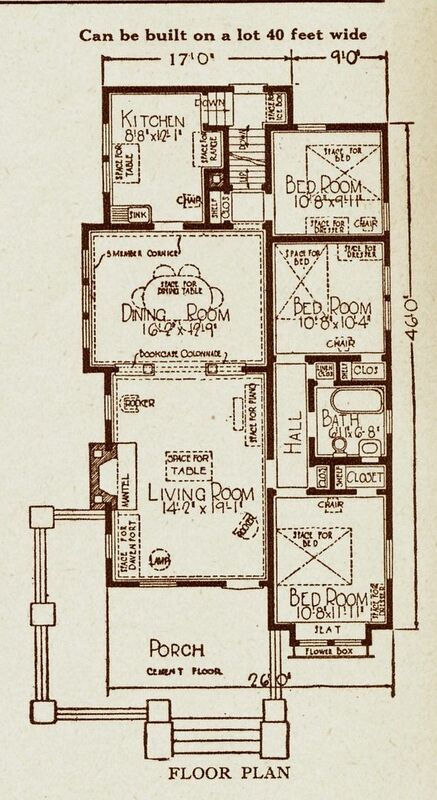 When identifying Sears Homes, details are hugely important. But one of the most important details is the home’s footprint. 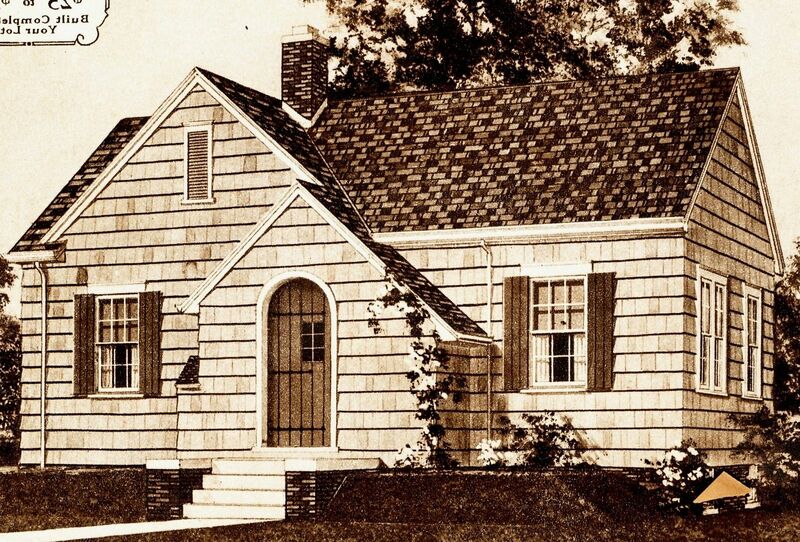 If the catalog image says the home was 32 by 22, the subject house should be 32 by 22. The Hopewell house (above) is much larger than the Sears Newbury. 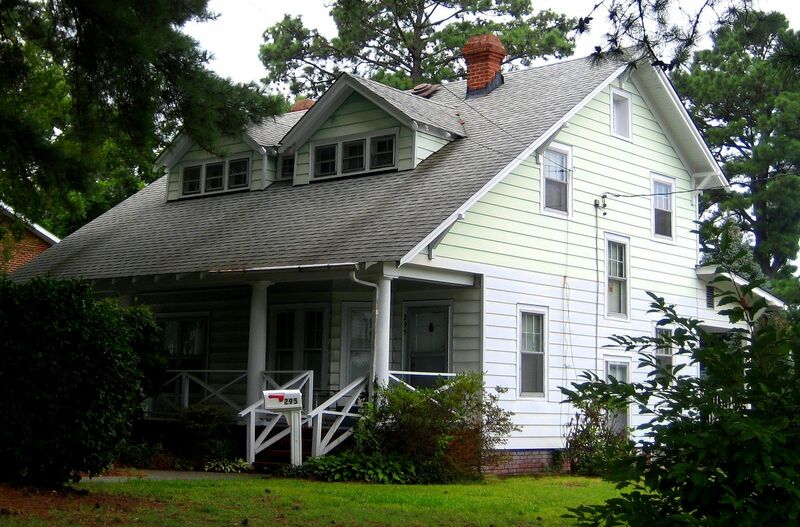 Now let’s look at Hopewell’s purported “Oakdale” at 106 Oakwood Avenue. Sears Oakdale as seen in the 1928 catalog. An Oakdale in Cairo, Illinois. 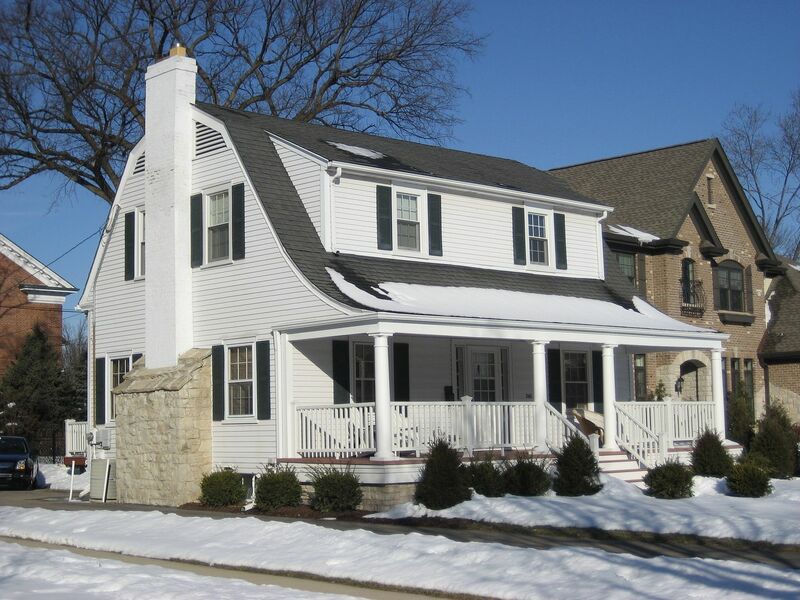 You'll notice that this house looks a lot like the house in the catalog image (above). 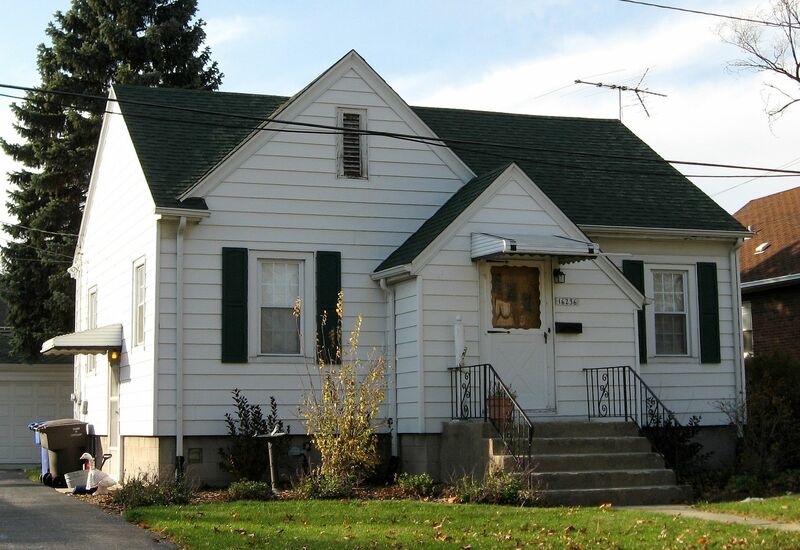 One of the goofy features of the Sears Oakdale is that the side door is RIGHT by the front of the house! See it on the side, with the small awning? That always catches my eye. 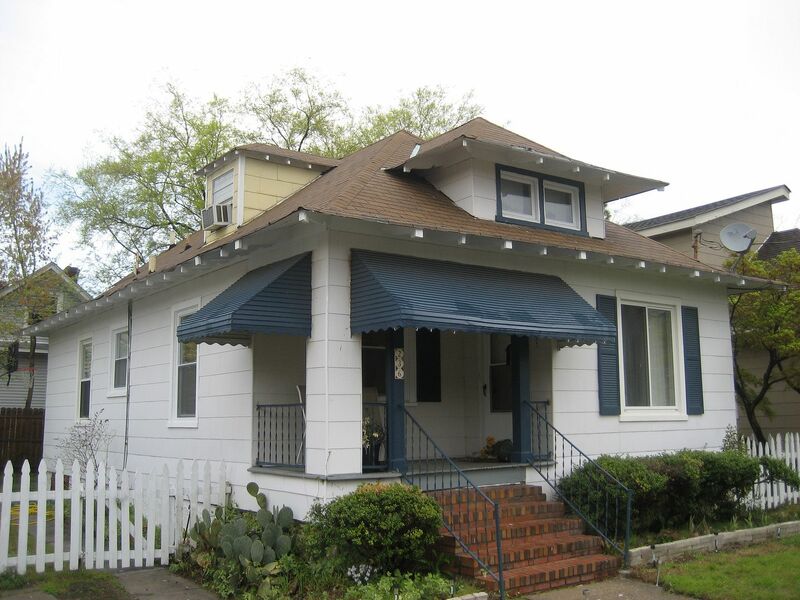 Those three vents on the front porch are also distinctive. This is a small two-bedroom house, measuring 24 by 38 feet. 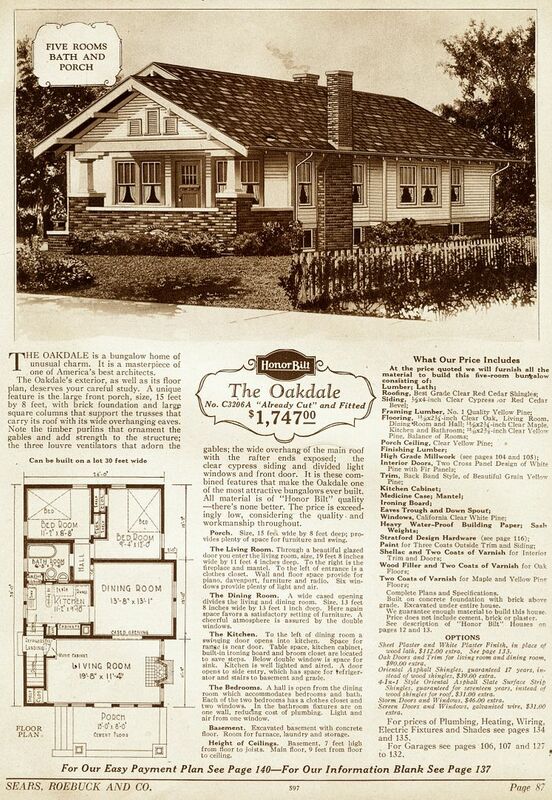 The Oakdale has a very unusual floorplan, with the living room spanning the home's width, and the two bedrooms spanning the width in the rear. 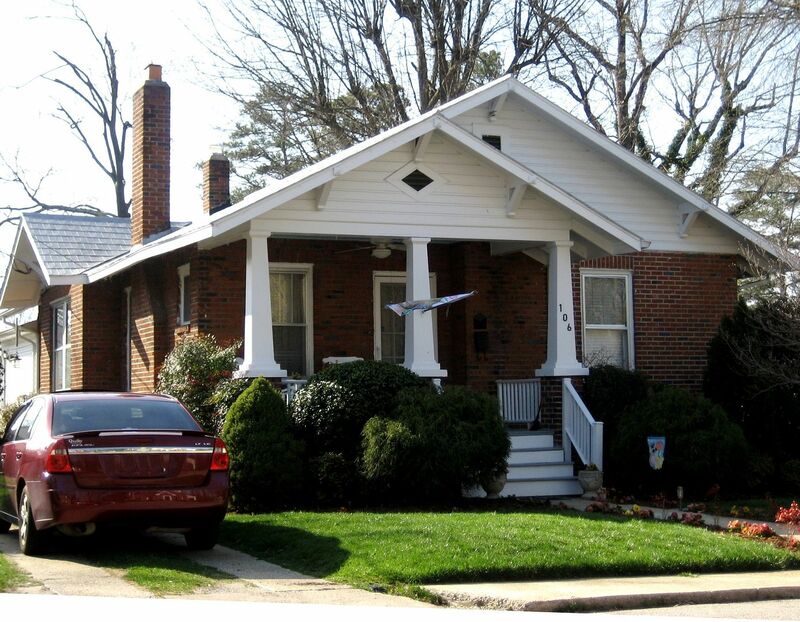 The brick house in Hopewell (seen below) has the more traditional layout of living room, dining room, and kitchen on the left, with bedroom, bath, bedroom on the right. Which leads me to the real puzzle. Hopewell claims to have TWO Oakdales. The second “Oakdale” is next door to the first. That doesn't look like an Oakdale! However, it sure looks a lot like a Sears Walton! And the house in Hopewell even has the little box window on the front of the house! 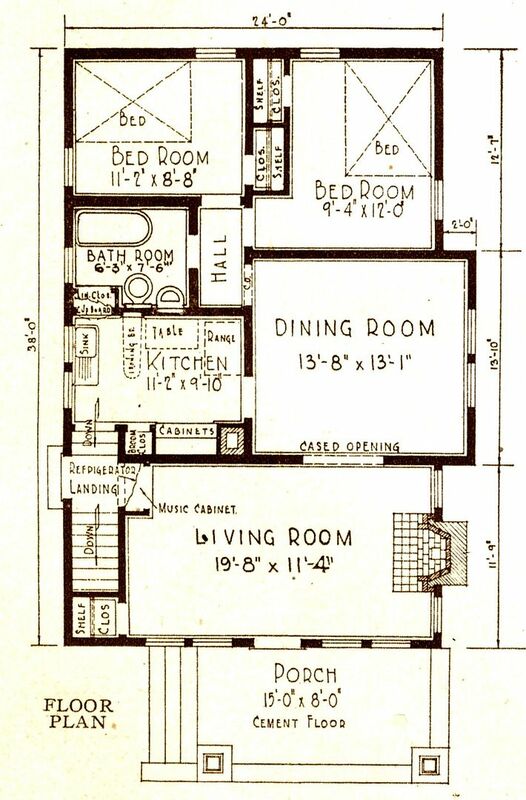 Wow, it's a good match to the floorplan! So why are they labeling a Sears Walton a Sears Oakdale? I’ve no idea. But I’ll make a $100 bet with anyone who cares to wager that this house at 102 Oakwood Avenue in Crescent Hills is indeed a Sears Walton. :) Interestingly, there’s another Sears Walton in a different part of the city! That’s two Waltons in Hopewell! Enjoying the discussion? There’s a lot more on Hopewell here. 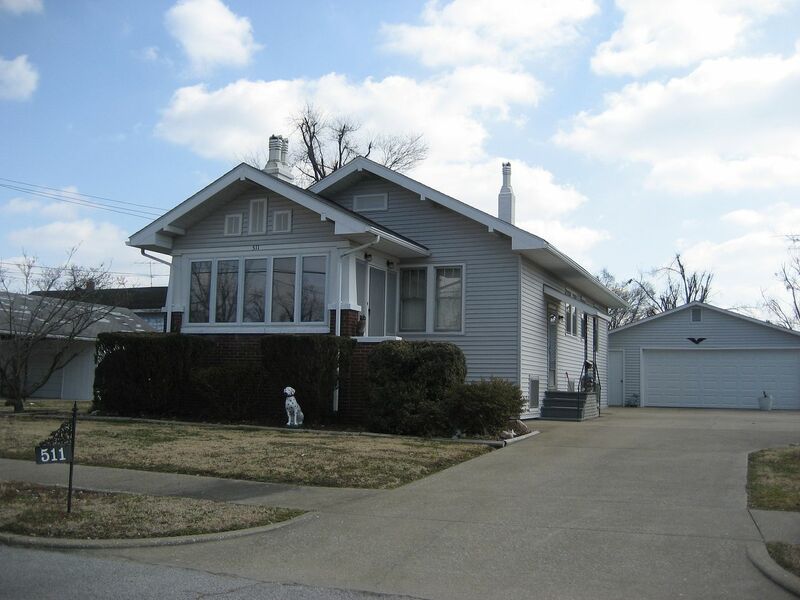 To learn more about how to to identify Sears Homes, click here.